[By Nick] Seeing as the girly and I are down South, there's no way we weren't trying some of Kroger's offerings. Actually, I was in sensory overload just by the selection of ‎not only Kroger brand flavors but all the flavors of Mayfield as well as Trumoo ice creams that I can't get up North (both are owned by Dean Foods). But we were on a mission and those will have to wait because I've heard amazing things about Kroger's Private Selection line. Now deciding on what to try was a different story. There's just so many options that sounded appealing. However, my girlfriend and I are hazelnut freaks so we had to try out their hazelnut options first. I mean, this flavor just sounded to unique to pass up. Mascarpone and hazelnuts? Yeah, you've got my attention here. Removing the lid, you can obviously see there's a major air pocket. That's pretty disappointing seeing as this was my first Private Selection pint. You can also see some sort of swirl that's not directly mentioned in the description. Looking over the ingredients, it is a chocolate hazelnut swirl. I'm all for more hazelnut and chocolate. The ice cream is of super premium quality. Right up there with the likes of Haagen-Dazs and Ben & Jerry's. The mascarpone flavor is pretty mild. Not too cheesy and pretty sweet actually. 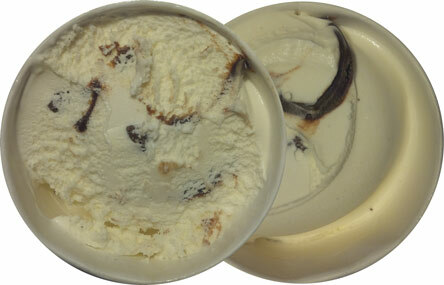 It's a perfect flavor for someone who is picky when it comes to cheesy ice creams. The chocolate covered hazelnuts aren't too prevalent but have a strong hazelnut flavor. The chocolate is pretty irrelevant there which isn't a bad thing. Hazelnuts and mascarpone work a lot better together than imagined. You get more chocolate from the swirl than hazelnut so it balances things out. All and all, this is a solid flavor. Nothing to go out of your way for but something worth trying at least once for its uniqueness. Apparently, my girlfriend is better at picking ice cream than me. Her pint had zero air pockets in it. And just look at all those truffles. Again there's a caramel swirl which isn't specifically mentioned in the description but in again mentioned in the ingredient list. The flavor of this ice cream is also far superior to my pint. The chocolate ganache ice cream is something else. Easily the best store brand chocolate ice cream I have ever had and far superior to some of the big name brands. The caramel swirl is all visual since you don't really taste it. The fudge truffles blend in with the base which isn't much fun. The caramel truffles stand more of a chance against the base but not much. The hazelnut truffles on the other hand, they shine through. 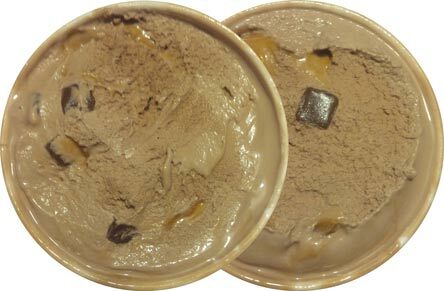 Mixed with the base, you have a Nutella truffle flavor that rivals that of Graeter's Hazelnut Truffle Gelato. The problem here is those hazelnuts truffles were few and far between. If they replaced all the truffles with the hazelnut ones, this one would be one of the best hazelnut flavors I've encountered. Still, another worthy pick up if you have a Kroger's near by. I mean at $2.39 a piece, there's nothing stopping anyone from trying a pint or two. 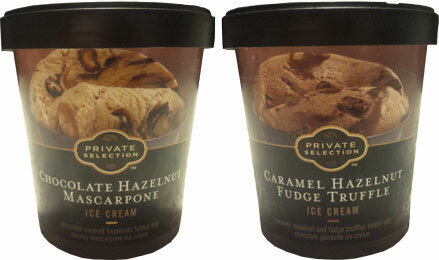 Were there caramel truffles included in the Caramel Hazelnut Fudge Truffle ice cream? Their raspberry ice cream with chocolate chunks is really good. Danielle, I have but I like to save the best for last also. Carol, was debating on picking that up while I was down south but decided against it, sadly.